2010 will prove to be a very hectic year for the Raymond Weil Company. These Swiss watch makers, and savvy businessmen are going for a global presence this year, and will stop at nothing to get their name noticed. Already having a solid 10 year relationship with China, Raymond Weil will attempt a point of growth sales increase from 88 to 135, by the end of 2010. Opening new boutiques in the most important commercial hubs the country has to offer, will push these efforts forward. 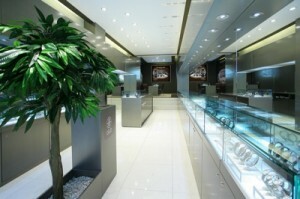 Expanding their brand awareness in Saudi Arabia will also play a key factor for the luxury watch makers. In March of this year, RW opened a specialty boutique in the heart of the city of Al Khobar. The bustling Al Rashid shopping center is the location of this latest boutique, and may prove to be one of the most popular and successful. Their courageous expansion efforts in China, The Middle East, and India are certain to give the Raymond Weil brand name a boost in recognition, and the media coverage they are receiving won’t hurt, either. Raymond Weil is not sitting in a corner, waiting to be noticed…they are demanding attention, and it’s paying off. In a time, where other watch makers are struggling, Raymond Weil is striving and thriving.